DeeThomaz, lightbulb, Simon A and 6 others like this. Agreed, Cloud City in particular. BrentB, 4_everyman, MaestroDavros and 8 others like this. Yes, this is the best looking sci-fi movie ever, IMO. The lighting is so perfect for the story. I agree -- it's a beautiful film. Shot by Peter Suschitzky, directed by the late Irwin Kirshner. The book The Making of the Empire Strikes Back goes into a lot of detail into how those shots were crafted. It looks far, far better than the first Star Wars film (IMHO). The film has got a lot of different settings: the snow planet, Yoda's jungle planet, the interior of the Death Star... many different looks, moods, and styles. And the sets are fantastic, too, especially the stuff on Lando Calrissian's "Cloud City," designed by Norman Reynolds. DeeThomaz, Simon A, Rhapsody In Red and 3 others like this. The only masterpiece in the whole saga, an incredible film. Morton LaBongo, Hawklord, Frittenköter and 4 others like this. Death Star? In ESB? Maybe you're thinking of the interior of the Executor instead....? These days it would probably all be done with CGI. And again it would probably not look as good. I agree. I painfully missed the feel of real physical objects in the new movies. 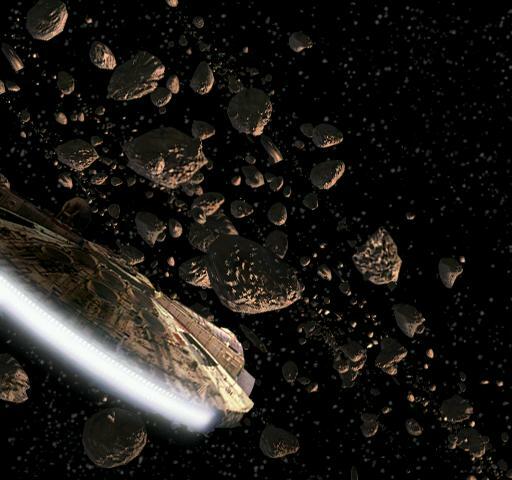 Empire is my favourite as well and I never cease to be amazed by the chase through the asteroid field. Far out! erniebert and Frittenköter like this. As an admitted SW geek, I'm with you 100%. This was the best SW ever got and none of the other movies in the saga can compare with the visuals and planet environments of this one. Gardo, Frittenköter and sound chaser like this. Agreed on all counts. To me, THIS film is and always will be what Star Wars is all about, not the video games, not the novels, not the animated series, and sure as heck not the prequels. erniebert, Frittenköter and Rooster_Ties like this. I recently bought all 6 films on DVD (used cheap) for my near 5 year old grandson that lives with me. It's ironic how well ESB stuck out from all the others. The difference between this and the 1st ANH was night and day. What a beautiful looking film. It will be interesting to see how this fares in Blu Ray. My grandson is now hooked on Star Wars. These are pretty safe movies for a young child compaired to todays violence flicks. And this was all done before CGI. 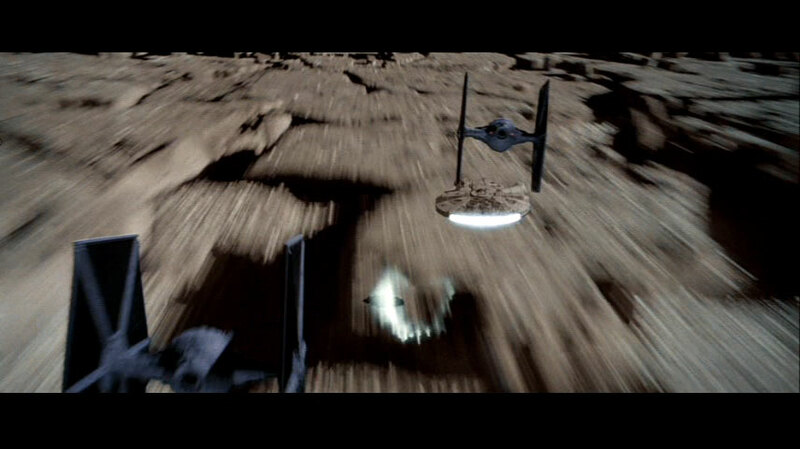 How I miss the look of those space/battle scenes. Might as well have Pixar throw together a post-sequel story. George is basically still playing with his eraser and editing desk. Star Wars went from being my all-time favorite set of movies to holding little interest for me once I hit my 20s, but Empire Strikes Back still knocks me out for its aesthetic beauty. I'm not big on the first one anymore, but its production design still holds up really well - it set a pretty high (and very familiar) standard, and it's really impressive that Empire can leap frog over it in such stunning fashion. Watch the DVD and listen to director Kirschner's audio commentary on the film, he talks about each of the scenes and how they were setup. Your "watch the DVD" comment raises the question that's been on my mind since the original post-- how is everyone watching this movie? Because unless you're watching on one of the original VHS tapes or Laser Disc, some of the "before CGI shots" that people are marveling over are really CGI enhanced. That's not meant to take away from the original art design or cinematography, but I'd just like to remind people that both have been tweaked for current viewing. So, is it correct that there is no SD DVD version of ESB that is both the original 1980 version and anamorphic? I'm not into Star Wars, but would like to see this movie again after not having seen it in decades. I've got a rip from laserdisc and I've got the DVD from a few years back. It's telling that ESB was the movie Lucas messed with the least, and while I could have done without any revision at all, the few inserts aren't THAT obtrusive. I just wish the LD rip looked as good as the special edition DVD. I happily add my voice to all the positive comments about how good this movie looks. It's a perfect, polished masterpiece in my estimation, as technically well made as you could want, with splashes of humor and philosophy mixing well together in an overall dark tone. It's a great film, Star Wars or not. Did it win any Oscars for design? My daughter just watched it for the first time Sunday. I was surprised how good the sp laser discs looked blown up on my Pioneer Kuro. Funny I was watching Return of the Jedi on TV for the first time in ages and I was shocked at how much "lower budget" it looked compared to Empire. They didnt even bother with the full size Falcon mock up in the ship hanger, its all Billy Dee Williams in front of cheesy matte paintings. Check next time.